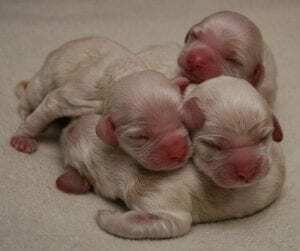 You are here: Home / Puppies Health / When do puppies open their eyes? When do puppies open their eyes? This is the most asking question about puppies. A solid answer is between seven days to three weeks after Birth. You may think, why this duration is long? 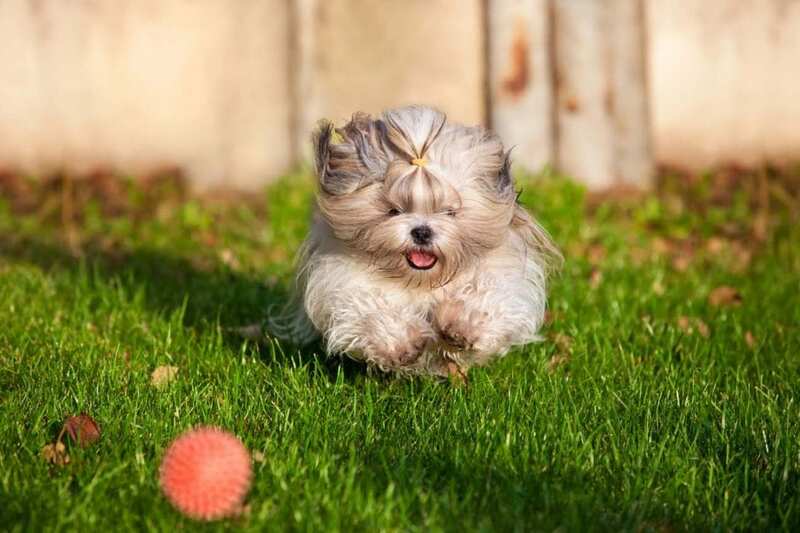 I know you cannot wait to see cute little puppy growing fast. So you must keep watching puppies in this period carefully. Most female dogs protect their puppies during this period. So they don’t let touch their puppies to strangers. Honestly, I like that puppy mother behavior, because it protects little puppies naturally. In addition to that environment variables such as air movement and temperature must be controlled carefully. 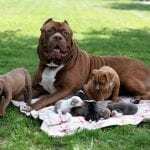 In my personal opinion is, if mother alive keep puppies with mother. Don’t try to touch them or show others to a miracle. However, if there any special attention puppies, meet the veterinary doctor for further treatments. In this period (before puppies open their eyes), Puppy senses are not growing well enough. When puppies open their eyes, ears also start to hear voices. With this growing processes, senses also “open” to the environment. Then they can identify the mother and other puppies. Up to 5 weeks period is highly vulnerable to diseases. Puppies mother’s milk is most crucial nutrition than artificial food in the market. So always try to keep everything natural. Let’s find out When do puppies open their eyes according to their breeds. For Bulldog puppies it takes at least three weeks to open their eyes. This 3rd week is known as their “Big week.” With their eyes open, Bulldog puppies turn in to social standpoint. Mother will take care about puppies and clean them. So we can have rest. 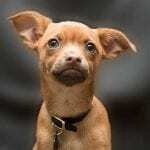 As we all know Chihuahua is little cuties that have small bodies. They will take at least ten days to open eyes. After the 10th day, it becomes transaction period, having the ability to see the world and hear things. When opening their eyes, they are dark blue, and it’s so attractive. However, unfortunately, they change within a few months. Husky Puppies eyes are not will open until two weeks from birth. They have light blue eyes when birth, but eyes color will disappear within 5 to 8 weeks. With this eyes opening puppies will turn to more active. 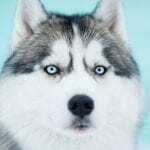 If you plan to teach skills to husky, this is the most suitable period. These cute little puppies take two to four weeks to open eyes. Along with the eyes, ears, sense, and teeth will begin to develop. With this, they are sensitive to loud noises and environment changes. However, puppies are entirely dependent on their mothers during this period. It will take ten days to open their eyes for Pomeranian Puppies. For this puppies, sometimes have eye infections. If you see, puppy try to open eyes and he can’t (swelling), then you can treat the lid with warm wet compress and help him to open eyes. 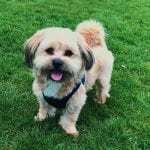 If you not sure, meet a veterinary doctor for further treatments. After two weeks Pug Puppies can open their eyes. Now he can recognize his mother, brothers, sisters, and owner. Not like other dogs, if you feel pug mother is uncomfortable when you get a puppy, return he immediately. These little dogs will take ten days to open their eyes. However, it says their eyes remain cloudy for approximately two more weeks. After three weeks eyes are fully grown. So, You can get the idea about the question When do puppies open their eyes? All Dog breed types get at least four weeks to full grown eyes. Here is brief points about this article. Puppies are born with closed eyes and ears. After two-three weeks, eyes will open. Duration depends on Dog breed. Don’t try to open eyes by force. Let it go with naturally. Don’t open to puppies for bright lights. The mother dog will aggressive sometimes. Be careful about it. If you didn’t get the answer to the question When do puppies open their eyes? Then Contact us via Email or our Website contact box. We are ready to help anytime. Thank You for Reading. Check other articles also. 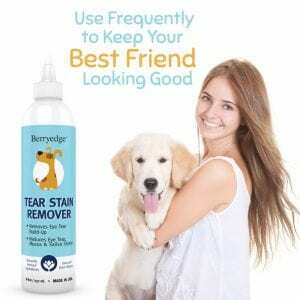 Berridge Tear Stain Remover makes light work of removing tear stains around the delicate eye area. It not only reduces unsightly stains, with regular use it prevents further stains developing keeping your pet clean & looking it’s very best.